PAID MEMBERS MUST EMAIL THEIR POST OFFICE TRACKING NUMBER TO SUPPORT@BestEasyWork.com. TO GET ON THE BestEasyWork PAYROLL. YOU MUST BE 18 YEARS OR OVER. OUTSIDE U.S. RESIDENTS WILL BE PAID VIA MONEY ORDERS. YOU Understand Your Obligation Is To Review The TRAINING And Then Advertise Your FREE Link. You Also Understand That If You Have Any Doubts, Reservations, Or Concerns BEFORE Joining BestEasyWork, You Have Complete Access To The Owner, Martin Ruiz, To Address Your Issues And Make Your Own Decision. DISCLAIMER: The Information We Provide Offers NO Guarantees Regarding Cash-Flow Or The Success Of Each Person. Your Results May Vary. The Testimonials & Examples Used Are NOT Intended To Represent Or Guarantee You Will Experience The Same Results. By submitting this form, You acknowledge acceptance of the TERMS AND CONDITIONS outlined above. ABSOLUTELY NO REFUNDS TOLERATED. YOU HAVE REQUESTED AND RECEIVED A FREE AUTOMATED REPLICATED WEBSITE AND FREE TRAINING BEFORE MAKING A BUYING DECISION AND HAVE INSTANT ACCESS TO VALUABLE SERVICES, SUCH AS HOSTING, MARKETING AND SUPPORT, THEREFORE YOUR ELECTRONIC SIGNATURE BELOW AGREES TO NO REFUNDS, TERMS AND CONDITIONS, AND YOU UNDERSTAND THAT ALL SALES ARE FINAL. WE DO NOT USE BITCOIN, CREDIT OR DEBIT CARDS TO INSURE NO CHARGEBACKS. To Expedite, Use PRIORITY Mail At Your Local Post Office. MANDATORY - NO NUMBER = NO COMMISSIONS. VALID EMAIL FOR DELIVERY: * NO DUPLICATE EMAIL SUBMISSIONS. IF YOU WISH TO UPGRADE, LOGIN AND USE THE "UPGRADE' FORM. Payout FOR EACH PAID MEMBER THAT THEY FIND. FREE MEMBERS - NO PAYMENT NEEDED! SELECT MEMBER LEVEL: * *FREE - NO PAYMENT NEEDED. *$88 FOR UP TO $50 PAYOUTS. $188 FOR UP TO $120 PAYOUTS. $288 FOR UP TO $200 PAYOUTS. $500 FOR UP TO $350 PAYOUTS. $1,000 FOR UP TO $750 PAYOUTS. $1,500 FOR UP TO $1,200 PAYOUTS. $2,000 FOR UP TO $1,600 PAYOUTS. $2,500 FOR UP TO $2,000 PAYOUTS. $3,500 FOR UP TO $2,900 PAYOUTS. $5,000 FOR UP TO $4,000 PAYOUTS. *FREE AND $88 MEMBERS DO NOT RECEIVE OVER-RIDE BONUSES. * YES, I UNDERSTAND THAT FREE MEMBERS ONLY GET PAID WHEN THEY FIND A PAID MEMBER. I ALSO UNDERSTAND THAT FREE MEMBERS DO NOT BUILD A TEAM. ALL MEMBERS WILL ROLLUP TO THEIR PAID SPONSOR. * YES I UNDERSTAND THAT $88 MEMBERS DO NOT RECEIVE OVER-RIDE COMMISSIONS. WE DO NOT USE CREDIT OR DEBIT CARDS TO INSURE NO CHARGEBACKS. YOUR PAYROLL ACCOUNT WILL NOT BE ACTIVATED UNTIL PAYMENT IS RECEIVED. OPTIONAL - Direct Deposit Setup! DIRECT DEPOSIT WILL MAKE LIFE MUCH EASIER. Outside U.S. Will Be Mailed Payroll Checks. If You Wish To Have The Convenience Of Direct Deposit (With No Deposit Limit) For Next Business Day Availability, Please Complete The Details Below. There Will Be A Two To Three Day Bank Setup Delay. MUST BE A PERSONAL ACCOUNT, NOT A BUSINESS ACCOUNT. Your First Commission Payment Is Mailed, At That Point We Will Submit Your Direct Deposit Details To Our Banking Institution. THANK YOU FOR YOUR SUBMISSION IN ADVANCE. MUST BE A PERSONAL ACCOUNT, NOT A BUSINESS ACCOUNT. * YES, I READ FAQs, UNDERSTAND & ACCEPT TERMS ABOVE, AND SERVICES WERE RECEIVED BEFORE MAKING A BUYING DECISION AND I UNDERSTAND THAT THERE ARE NO REFUNDS, ALL SALES ARE FINAL. COMMISSIONS ARE RELEASED IMMEDIATELY AND THERE IS NO RECOVERY. * YES, I UNDERSTAND I CAN SETUP DIRECT DEPOSITS FOR PAYROLL THRU MY BACK OFFICE FOR FASTER PAYOUTS OR COMMISSION CHECKS WILL BE MAILED TO THE ADDRESS I PROVIDED. * YES, I WILL LOGIN TO BestEasyWork.com AND DO MY TRAINING BEFORE CALLING SUPPORT. * YES, I UNDERSTAND PAID MEMBERS MUST EMAIL THEIR TRACKING NUMBER TO SUPPORT@BestEasyWork.com. * YES I AM OVER AGE 18. USE YOUR CURSOR (MOUSE) TO SIGN. Money orders only. Hilarious! Who would want a paper trail or taking a chance on Brad's suckers initiating chargebacks??? And, all long term deals always operate out of a UPS store mailbox. Another in a very long line of screwball deals promoted by one of the planet's biggest screwballs! The address for the business is a house. Nice neighborhood, but the lawn needs cutting making the front of the house look slightly un-kept. It stands out because the neighbors all have close-cropped lawns. Hardly any landscaping compared to the neighbors yards. House and the neighborhood looks like it is less than 8 years old. They are nice homes. So they register the business using the home address, and in the marketing material they show an office building using stock photo's. Poor Brad Heather doesn't get it that people with brains aren't buying his drivel any more. I found a land-line phone number associated with that Martin Ruiz and have called it both hours before and hours after 5pm today - it just rings forever. 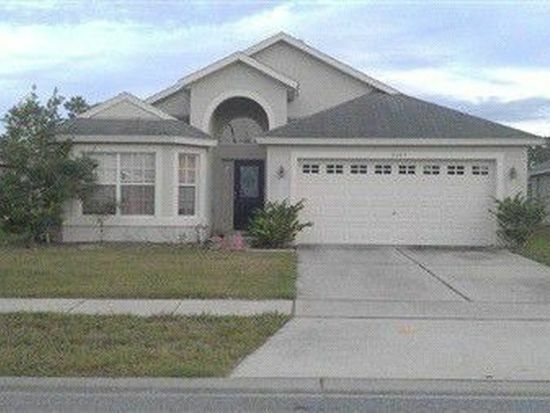 Most real estate sites seem to indicate that a Martin Ruiz was a previous resident at the Wood Rose Way address in Deltona, but not now. If I have the right one, he is listed as an insurance agent on more than a few sites. An insurance agent that doesn't answer his phone? Actually when I saw the picture of the house, it appeared vacant to me. But I just though that Martin was so busy running his fantastic business he didn't have time to worry about cutti8ng the grass or trimming his bushes and tree. If it is vacant, makes you wonder where this business is really located. It very well may be a PO Box. When you are a multi-million dollar conglomerate you own the office building not work out of your house. Just sayin. Soapboxmom, Whip and shipdit like this. EagleOne and shipdit like this. I might note that I reported on Martin back in 2013, for his involvement in The People's Program. His home had been foreclosed upon at that time. I need to remind myself before posting that RS is a more productive search for scammer's histories than Google is! There is a wealth of "Martin Ruiz" background here using the RS search. So my chuckle today comes from the "Martin Ruiz" Facebook page, which recently features BestEasyWork promotional videos from both Brad Kamanski and this little charmer identifying herself as "Janice". Check out this screencap of her inbox when she goes to show her payment emails from Martin Ruiz to Janice Rodgers! If it has cash gifting involved, Prof has reported on it here. He's the expert on who's who in the cash gifting world. Last edited by EagleOne; 07-25-2017 at 08:45 PM. shipdit and Joe_Shmoe like this. Including connections with several other con men besides Brad. Again, searching Realscam would show you several past reports about Janice. Ya gotta feel sorry for Braddles Kamanski. 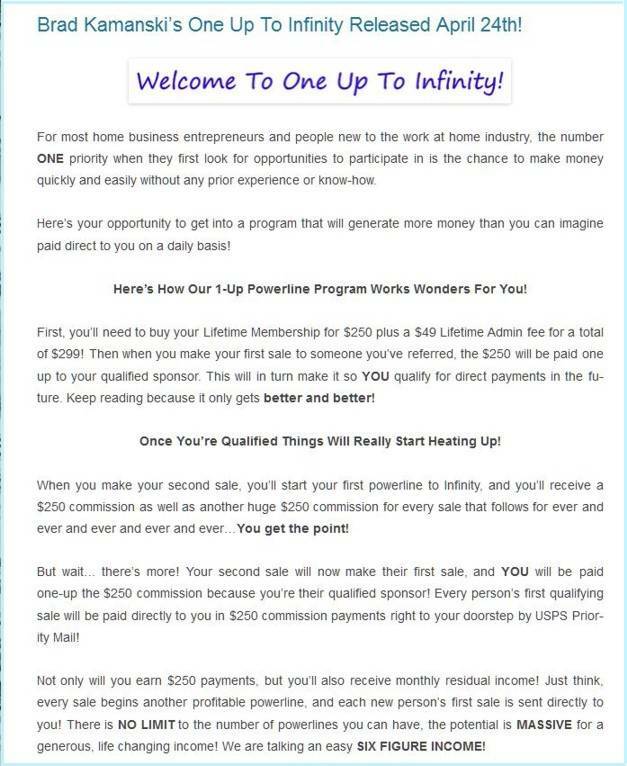 How would you feel going into a brand new year, knowing you're stuck trying to flog low level illegal pyramid schemes to make a buck ??? Brad Heather should be thanking his lucky stars that he wasn't reported to HUD about his income claims while living in Section 8 housing. If he was truly making the money he claimed, HUD could have had him put in prison, fined or both. Of course we all knew he was lying about his income, but his marks didn't. If my memory serves me correctly, Brad Heather spouted how he was going to sue all of us for all the lies we told about him. Hmm, I'm still waiting to be served, as every one else is too. Funny how they never sue isn't it. I offered to pay his legal fees if he's sue me, so he can't be too serious about it. I mean how often have you seen him refuse free money? 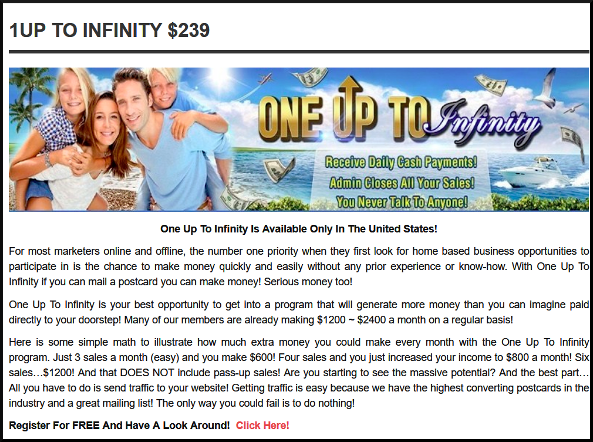 Braddles Kamanski is still out there and still pimping low grade pyramid / endless chain recruitment schemes, this time at $239 a go. His latest is called "1-Up to Infinity"
Given Braddles' history, "Infinity" is likely to be next month when it collapses, just like every other nonsense pyramid scheme he pimps has done. Looks like Brad Kamanski may have his pyramid SCAMS on a three-year resurrection cycle. Looks like Braddles Kamanski has finally lost the plot. Math never was his strong suit, but this one defies belief. Braddles is claiming people are going to make $250 a pop forever. Simply signing people up ??? Just when you think Brad Heather, the name he wants to be called, has tossed in the towel and gone straight, he disappoints and tries to restart an old scam disguised as new.I am surprised that he has anyone left that believes his BS. I am surprised that he has anyone left that believes his BS. Ah, but does he - that's the big question. After all, anyone can find a cheap website host, mess around for a few hours with any one of the free HTML programs and throw up a web page. How many new victims does anyone believe Braddles is roping in ??? For all of the Mini Sites I accept PayPal! Send $4.99, $7, $10, $19, $20, $30, $40, $50, $60, or $100 dollars To: florence3826@gmail.com In the PayPal "NOTES" say payment for, GiveMeFive, 7allday, 10allday, 19allday, 20allday, 30allday, 40allday, 50allday, 60allday, or 100allday. I will email you your website Set Up page quickly! Unless I am asleep! Yes...I really do sleep! For the Lazy Wealth System I accept PayPal! Send $50 To: florence3826@gmail.com In the PayPal "NOTES" say payment for LWS. For Email Processing & Easy 1 Up $25 Payments I accept PayPal! Send $25 To: florence3826@gmail.com In the PayPal "NOTES" say payment for EPS25 or E1U25. For All other programs with larger payments I accept "CASHIER CHECKS ONLY" (No Personal Checks) by USPS Priority Mail, UPS Ground, or FedEx Ground! Last edited by ProfHenryHiggins; 03-31-2018 at 11:48 AM.